Looking for a new accessory or even gadget to try out? 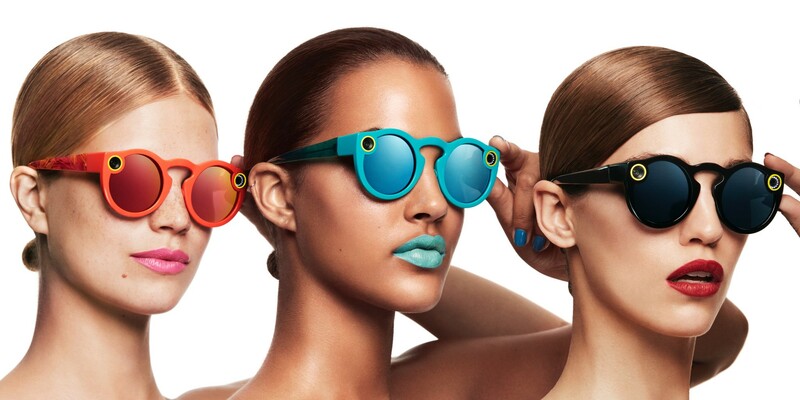 If you are a die-hard fan of Snapchat, you may want to get your hands on their latest stylish accessory, the Spectacles. The camera-equipped glasses can record video up to 30 seconds. Snaps are automatically saved to your memories so you can later upload to your Snapchat and specs are charged in its case. Snapchat’s Spectacles runs at the price of $129.99 and comes in three colors, coral, black and teal. Snapchat’s Spectacles are for Snapchat users who want to take their game and experience to the next level. For travelers and explorers who don’t want to strap a camera to their head. You can purchase (similar here) these stylish, innovative glasses if you are eager to be inspired by a tech product again. You can visit Business Insider (similar here) to read a review on the Snapchat’s Spectacles and get a better understanding on how the glasses look from the viewer’s perspective. Let me know what you think Snapchat users! Just comment below. Thank you for stopping by and have a wonderful weekend!